The Darwin Plus project is expected to significantly contribute to the restoration of the Akrotiri marsh and the enhancement of the wetland’s biodiversity. The project can also set an example for the future management of other wetlands in the Akrotiri complex. The project also aims to provide increased economic opportunities for local people through the promotion and preservation of traditional practices such as livestock grazing and basketry, acting thus as a model project for future work. Also, increased visitation by birdwatchers and other interest groups, such as school groups experiencing innovative educational activities, is expected to bring more benefits for the local village. 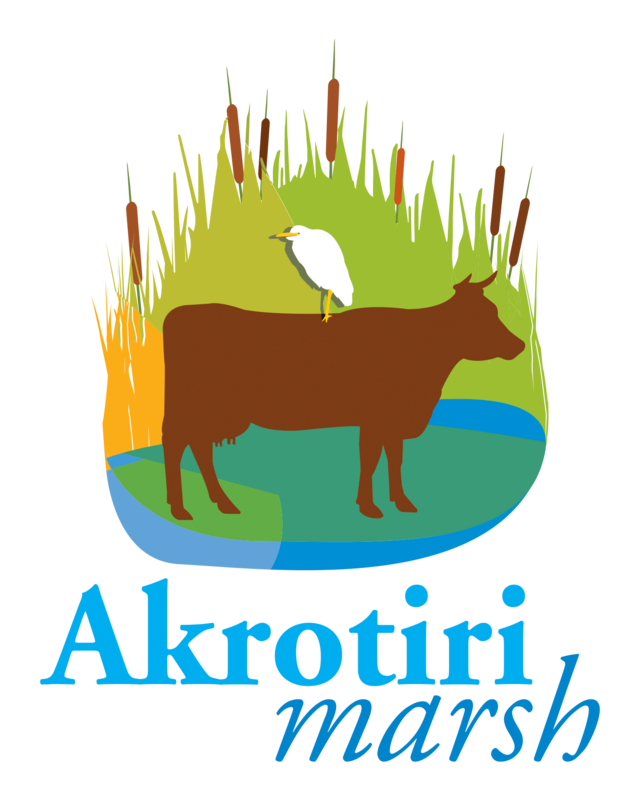 Grazing has been a traditional activity at Akrotiri Marsh as the site was grazed by Cyprus cattle, a breed which is now considered traditional and today gets subsidised as an agri-environmental measure to preserve this breed. Nowadays however those who still have grazing animals on site are very few. This decline in grazing in combination with hydrological changes in the last couple of decades has led to the expansion of reeds at the marsh resulting in biodiversity degradation on site. 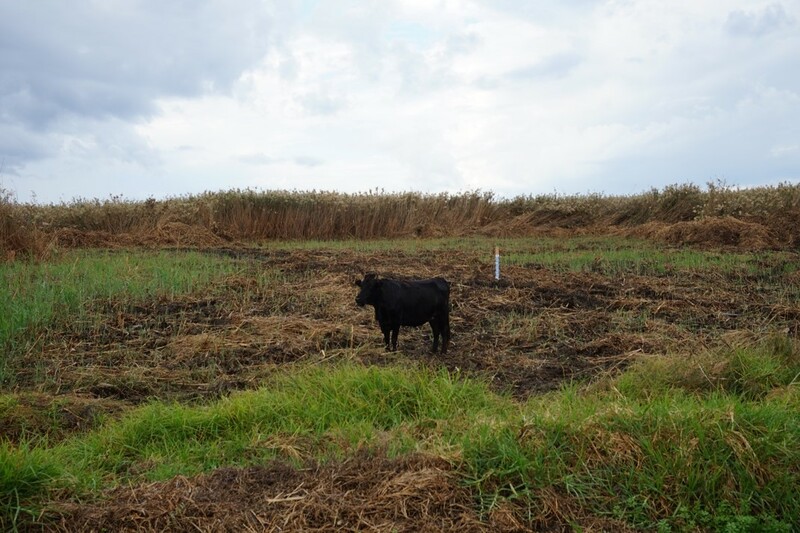 It is evident that the most effective and sustainable with long-term benefits to reduce the areas occupied by reeds is grazing cattle as it was traditionally done in the past. Currently, the grazing scheme on site is not sufficient to achieve these benefits. Firstly, the number of animals on site are not enough to control reeds and secondly cattle are currently grazing tethered. This means that cattle have minimum effect in controlling reed expansion. To maximize their effectiveness the Darwin project aimed at increasing grazing cattle on site as well as promoting untethered cattle on site. To increase grazing cattle the project provides funding to locals to purchase more cattle and also building of cattle sheds on site with feeding and water stations. To promote untethered cattle the project erected a fence on site. The permanent fence will not only allow cattle to graze untethered on the site but will also provide a level of control in access aiming to reduce disturbance on site from visitors. The changes in grazing are expected to help control reed expansion at some level and also the regeneration of rushes and sedges that are used in basketry. Furthermore, the fence will help make the graziers and the livestock’s lives easier. Together all those actions will increase socio-economic opportunities for local villagers. One of the oldest handicrafts, whose practice has been fading away in the last decades, is being promoted thanks to the Darwin project. Soft basketry weaving used to provide substantial financial income to the residents of Akrotiri village. However, since basketry products have been replaced by other contemporary items in recent years, the traditional craft of basketry has declined. Nowadays, very few villagers practice basketry since it is no longer profitable. The plants that make up the raw material for basketry are confined mainly to Akrotiri Marsh and the constant need for raw material as well as their availability contribute to the conservation of the wetlands of Akrotiri, including Akrotiri Marsh. The Darwin project, through funding training lessons and the collection of basketry materials, aims at transferring this valuable knowledge to the new generation in order to prevent the loss of this traditional craft. During summer 2016 the project subsidised locals to collect plants and receive training on how to collect, treat and weave the plants to create basketry products. 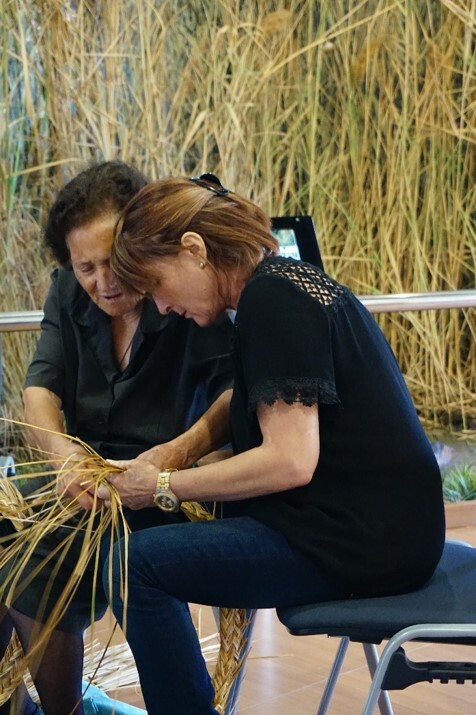 The collection of basketry material and the associated basketry workshop as part of the Darwin project was organised in collaboration with Akrotiri Environmental Education Centre which is one of the project partners. The Centre has a long history of contributing to the preservation of basketry by promoting the conservation of basketry-plant habitats, running basketry courses and organising group visits to basket makers. An information leaflet on the handicraft of basketry can be found here (The leaflet is available in Greek only). Basketry weaving techniques are transfered to younger generations.